Terrafina Venetian laser cut metal mask is painted black and has faux pink jewel accents. 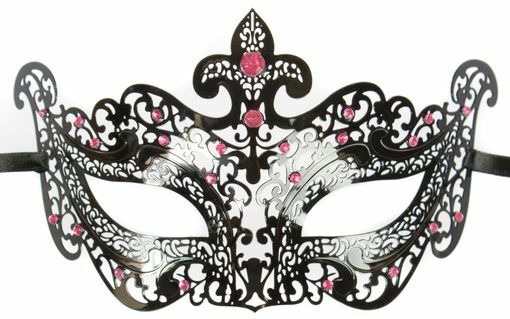 This metal mask jewel color comes in pink, clear, green, red, aqua, and purple. Mask size 6"L X 3"H.